I painted 3 of my fingers and my thumb with 2 coats of Absinthe and topped them with 1 coat of Seche Vite to add shine. 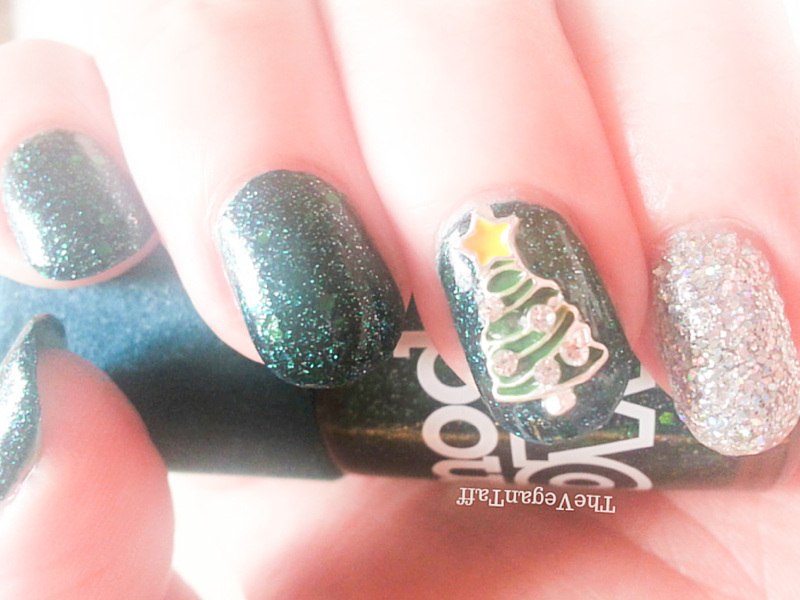 Absinthe dries to a matte finish, but I wanted to really bring out the green glitter in the polish to make it more festive, and the top coat has really done that. Absinthe is a gorgeous blackened green polish with large, and small green hex glitter and micro shimmer that picks up beautifully in the light. The formula on this was pretty decent compared to the other Velvet Goth collection polishes I've used. On my ring finger I painted 3 coats of Nova by China Glaze, which is my all time favourite silver glitter. It gives off rainbow shimmer when your hand moves in the light, is really is too pretty to capture on camera. I topped this with Seche Vite too. 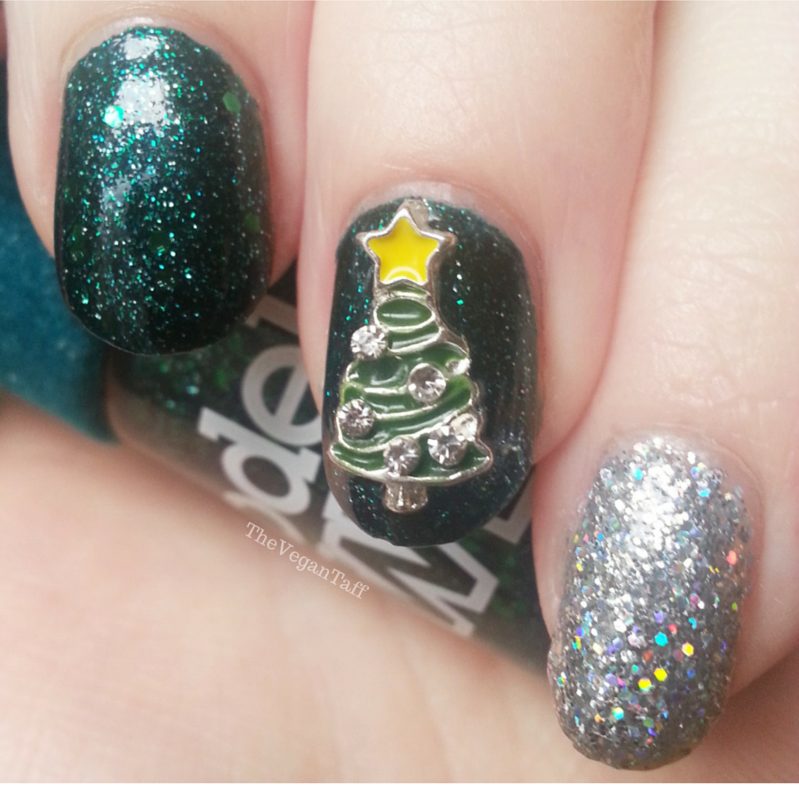 Then I went and applied a thick blob of top coat to my ring finger and pushed the Christmas tree into it, I held it there for about 30 seconds until the top coat had set. After it was dry I sealed it in with more top coat and the look was complete. You really do need a fast drying top coat to use it in this way, otherwise it wouldn't set properly and the nail gem wouldn't be secure. I can't find the seller I bought my Christmas trees from, but they won't be hard to find on eBay, I paid 99p for 10. Models Own Velvet Goth in Absinthe is available from Superdrug for £5. China Glaze Nova is available from Nail Polish Direct for £3.99 (rrp £8.95).